THE Media Institute of Southern Africa Zimbabwe (MISA Zimbabwe) has reported President Emmerson Mnangagwa’s government to the Southern African Development Community (SADC) asking the regional body to push Harare to reform the state media before this year’s elections. "The Media Institute of Southern Africa Zimbabwe (MISA Zimbabwe), by virtue of this letter, humbly seeks to draw your attention on the above-mentioned matter highlighting the lack of progress in media reforms in Zimbabwe." In a petition handed to SADC’s executive secretary, Dr Stergomena Lawrence Tax, at his Botswana offices last Monday, MISA said there won’t be free and fair elections if the new government did not reform the public media which has, since independence, been biased towards Zanu PF. “Before and after the 2013 general elections, concerns were raised about the public broadcaster’s highly partisan coverage of the ruling party to the exclusion of opposition political parties and other dissenting voices and views,” said the petition. 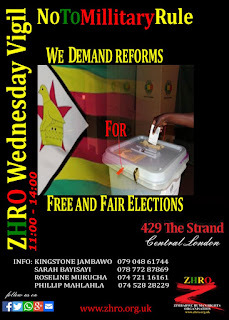 MISA said most of the reforms Harare continued to ignore were also raised by the African Union Election Observation Mission (AUEOM) after the 2013 harmonized elections. “Five years later, the Zimbabwean government is still to implement the envisaged media reforms. 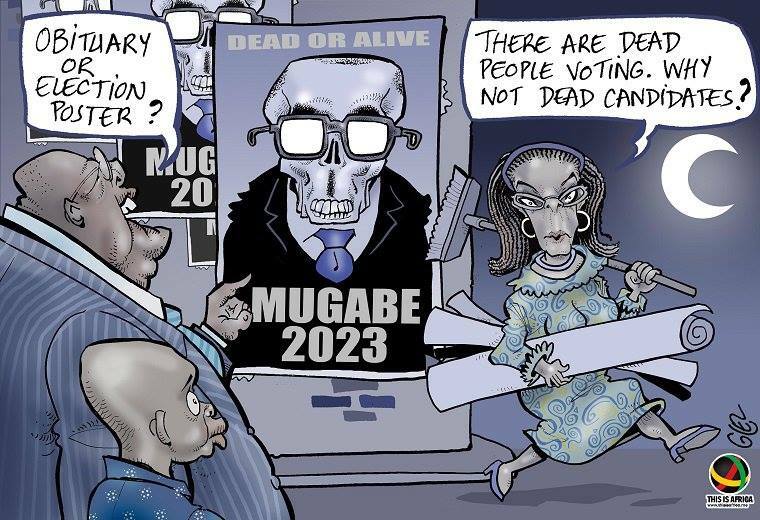 This indeed is cause for great concern, especially in light of the fact that Zimbabwe is expected to hold general elections sometime this year,” said MISA. "MISA-Zimbabwe respectfully submits that Zimbabwe’s government has the obligation and responsibility to implement the reforms in question without any further delays. This obligation arises from the country’s Constitution as well as regional instruments such as the SADC Principles and Guidelines Governing Democratic Elections and the African Charter on Democracy Elections and Governance,” said the regional media watchdog. Laws such as the BSA, the Public Order and Security Act (POSA), along with the Access to Information and Protection of Privacy Act (AIPPA), still contain provisions, which indisputably violate fundamental rights to privacy, freedom of expression and access to information. The protection of these fundamental rights is key to a robust democratic media environment. Opposition political parties have since formed an alliance called the National Electoral Reform Agenda [NERA] through which they are lobbying government to institute a cocktail of electoral reforms which among them include equal access to the public media. MISA also said journalists should not be subjected to double accreditation as mandated by statutory bodies like the Zimbabwe Electoral Commission during elections. “The requirement that a journalist who is already accredited with the Zimbabwe Media Commission (ZMC), needs further accreditation by the Zimbabwe Electoral Commission (ZEC), for election-related coverage, is unnecessarily cumbersome, bureaucratic and an unnecessary drain on the fiscus. “The media cannot cover elections properly when it cannot access relevant events and places by virtue of not being accredited by ZEC. The purpose of laws or regulations on media and elections - and the function of a regulatory body - is to create an environment in which the media conducts their business freely. “Elections are not state secrets to be investigated by dedicated investigative journalists. Instead they should be conducted openly and freely. The fundamental guiding principle here being that, journalists as duly and constitutionally accredited by the ZMC, should be given unfettered access to all election- related events,” said MISA. While 2017 saw a marked decline in the number of cases involving media violations; the severity of the nature of the violations was of great concern. MISA-Zimbabwe recorded the unlawful arrest or detention of seven (7) journalists in 2017. In the same year, MISA Zimbabwe recorded the assault of eight (8) journalists during the course of their duties. The Media Institute of Southern Africa Zimbabwe (MISA Zimbabwe), by virtue of this letter, humbly seeks to draw your attention on the above-mentioned matter highlighting the lack of progress in media reforms in Zimbabwe. After the 2013 general elections, the African Union Election Observation Mission (AUEOM), made recommendations on improving the state of the media in Zimbabwe. These recommendations complement the media rights enshrined in Zimbabwe’s Constitution, which was gazetted shortly before the 2013 elections. Five years later, the Zimbabwean government is still to implement the envisaged media reforms. This indeed is cause for great concern, especially in light of the fact that Zimbabwe is expected to hold general elections sometime this year. MISA-Zimbabwe respectfully submits that Zimbabwe’s government has the obligation and responsibility to implement the reforms in question without any further delays. This obligation arises from the country’s Constitution as well as regional instruments such as the SADC Principles and Guidelines Governing Democratic Elections and the African Charter on Democracy Elections and Governance. Zimbabwe’s Constitution is the supreme law of Zimbabwe and any law, practice, custom or conduct inconsistent with it is invalid to the extent of the inconsistency. Despite this clear position, government has been reluctant to institute meaningful changes to deal with inconsistencies, which currently exist in laws, which affect the media environment in Zimbabwe. Section 160J of Zimbabwe’s Electoral Act states that during an election period, broadcasters and print publishers must ensure that all political parties and candidates are treated equitably in their news media. This position is reiterated in Article 17(3) of the African Charter on Democracy, Elections and Governance, which calls for the state broadcaster to provide a balanced platform for all competing parties and alternative voices. Before and after the 2013 general elections, concerns were raised about the public broadcaster’s highly partisan coverage of the ruling political party to the exclusion of opposition political parties and other dissenting voices and views. 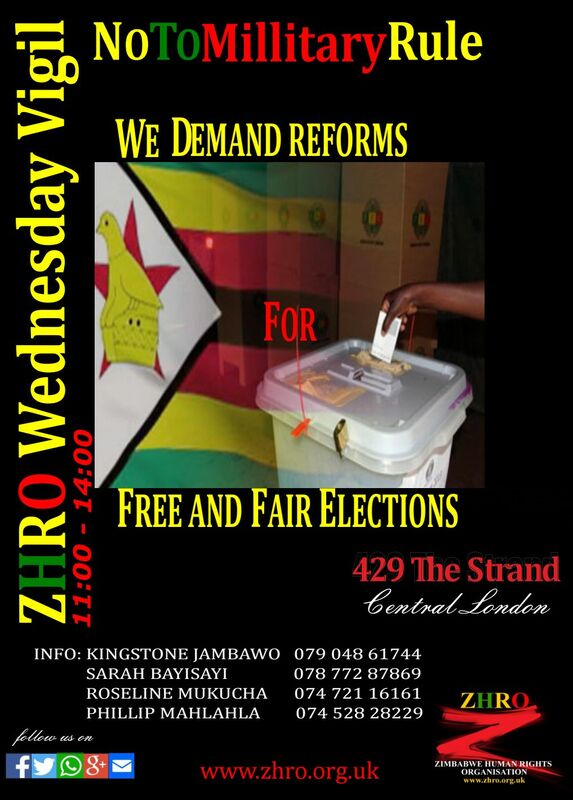 This state of affairs informed the AUEOM’s recommendation that: The ZEC scrupulously enforces the relevant regulations of the Electoral Act to afford alternative voices and all political parties equitable access at all times during elections. The AEUOM emphasised the public broadcaster’s central role in elections, as a platform for airing political messages from all political contestants. Five years on, the Zimbabwe Electoral Commission (ZEC) has not made any tangible efforts to ensure that political parties will be treated equally and equitably during this year’s election period. The AUEOM’s 2013 observation that the national broadcaster tended to provide live and in-depth coverage largely to a single political party remains true to this day. The bias exhibited by the public broadcaster and state-owned media establishments, has contributed to a highly polarised media environment in the country. The AUEOM observed that both private-owned and state-owned media establishments were evidently politically inclined in their reportage. MISA-Zimbabwe respectfully submits and urges for the urgent transformation of the Zimbabwe Broadcasting Corporation (ZBC), into a truly independent and representative public broadcaster. The provisions of the BSA be fully implemented to enable the liberalisation of radio and television ownership, thereby providing a broader platform for all stakeholders to voice their opinions, consistent with the stipulations of the new Constitution. The involvement of civil society and other actors in the review of the legislation such as the AIPPA and POSA and the manner in which they are applied will also enhance the country’s progress toward democratic consolidation. However, the government is still to license community radio stations. While licenses have been granted to national and regional commercial radio stations, however, the majority of these licenses were given to radio stations owned by state owned enterprises and those perceived as being politically connected. The majority of the cases of assault of journalists on duty were perpetrated by the police serve for three which involved army personnel and ruling Zanu PF youths. Past experience shows that during an election year, media violations tend to rise and the likelihood of this happening ahead of the 2018 elections cannot be discounted. For instance, on 1 March 2018, some journalists were harassed at an MDC-T opposition party press conference. 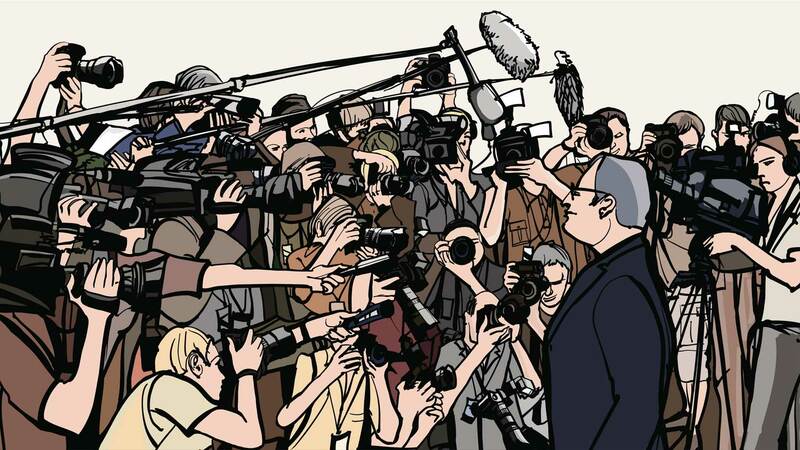 MISA-Zimbabwe firmly believes that more needs to be done by the State and political parties to promote the protection of journalists as they cover election related events. The requirement that a journalist who is already accredited with the Zimbabwe Media Commission (ZMC), needs further accreditation by the Zimbabwe Electoral Commission (ZEC), for election-related coverage, is unnecessarily cumbersome, bureaucratic and an unnecessary drain on the fiscus. Journalists duly accredited by the ZMC, should thus be allowed to cover election-related processes and events in the spirit and letter of the right to media freedom. Accreditation of journalists by the ZMC should suffice for election purposes. The media cannot cover elections properly when it cannot access relevant events and places by virtue of not being accredited by ZEC. The purpose of laws or regulations on media and elections – and the function of a regulatory body – is to create an environment in which the media conducts their business freely. Elections are not state secrets to be investigated by dedicated investigative journalists. Instead they should be conducted openly and freely. The fundamental guiding principle here being that, journalists as duly and constitutionally accredited by the ZMC, should be given unfettered access to all election related events. Freedom of information entails, among other principles, that the media is entitled to investigate and report critically on the efficiency and probity of election administration. This is aptly provided for under Sections 61 and 62 of the Constitution, which guarantees media freedom and access to information, respectively. It is MISA-Zimbabwe’s hope that the above submissions will assist the AU and SADC missions to hold the Zimbabwean government to account based on its repeated promises to implement the long overdue media reforms. This is of paramount importance and urgency ahead of the 2018 elections, which the government has repeatedly promised will be free, fair and credible. Staring into the computer screen, hands struggling to find the right way to start. It is then that I'm reminded by the thought of my city; Bulawayo and my rural place, Plumtree. My helpless grandmother, my friends, my relatives scattered around the world. It then dawns on me that I could and can make a difference. It only takes a voice, or a note to get the message out there. Zimbabwe my home. Let my tears my fears, my fears speak to the world. Can all this be a voice that leads to reason, clarity and freedom? ZHRO (Zimbabwe Human Rights Organisation), thank you for this opportunity as it has given me a platform to express my inner most feelings. My name is Tlalane Maloisane /Charity Ndebele. ...So, if not now then when? It's time to grab the problem by the 'horns' (our freedom). When the former president Robert Mugabe was ousted by the military through a coup. 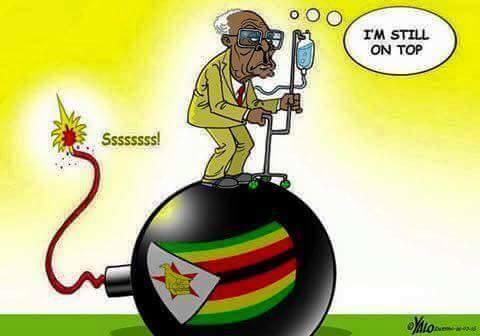 He was then replaced by the 'crocodile' (Emmerson Mnangagwa) who has been the right hand man of Mugabe. It is evident that the so-called president (Emerson Mnangagwa) and his now Vice president Chiwenga, had agendas that only sought to favour their scandalous ways and journey on with old ZANU PF ways. This demonic ZANU PF stole our freedom, our human rights and our rights to freely chose our leaders, or later be leaders ourselves as they are so greedy. It pains me enormously to see families separated and scattered all around the world in search for freedom, human rights and peace to be accepted as normal human beings. My heart is heavy as I can testify that myseIf has gone through the process of family separation, having to face the toughest decision in my life to turn my back on my disabled child in order to find a safe haven for me and my child. The whole process of seeing my fellow country men and women lose their identity is paining. Therefore I hope and pray that this blog sheds some light on a lot of people's thoughts. Having had the chance to meet Pastor Evan Mawarire at The Henry Jackson Society seminar at the House Of Commons through ZHRO, I had a chance to represent my people of Matebeland to hear his thoughts about the 1983 Genocide and the constant side-lining of the people of Matebeland. Pastor Mawarire agreed to say that for sure the Matebeland had become "The Lost City" or just forgotten as nothing was happening that region and the bitter residents that feel oppressed. I then found more reason as an individual who has experienced oppression and violence in the region that I would be happy with the idea of deserting from Zimbabwe. We the people of Mthwakazi are looking for freedom in a country that has forgotten us due to tribal background. It really makes sick in the stomach that Emmerson Mnangagwa feels too proud to make effort to at least apologize to the people of Matabelaland after all we have been through. l can safely say each and every family member in Matabelaland was affect by Gukurahundi and the a lot of people where left traumatized after the incident and some mentally disturbed and yet he is too proud to apologise. It is clear that this devil has no remorse or compassion and yet wants to lead the country, he must be dead out of his mind. The fact is we will not or cannot expect ZANU PF or this 'government' under Emmerson Munangagwa, or that has been through the mentorship of Robert Mnangawa for it is like feeding the same beast. All these people are perpetrators that should be imprisoned as thieves and killers. ZANU PF are already bribing chiefs by buying them cars, yet the medical or health system is in a shambles, with most hospitals have no functioning ambulances.